Rowing Blazers by Jack Carlson Coming Soon! Good news. 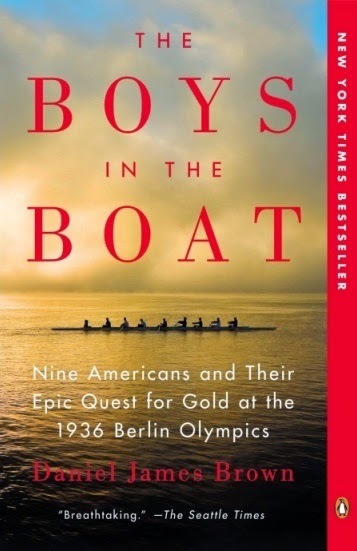 The book on Rowing Blazers by Jack Carlson will be will be released in July 2014 in Europe and in September 2014 in the U.S., just in time for the 175th Henley Royal Regatta and the 50th Head of the Charles Regatta. To order outside of the USA: the Henley Regatta Shop. HTBS first mentioned the book on 19 October 2013. The book has 256 pages making for some serious reading on the history of rowing blazers with 200 colour photos accompanied by histories, anecdotes, and captivating descriptions of the esoteric traditions behind each blazer. I wonder if they have included photos of the HTBS Tie designed by Tim Koch? For the second year running, FISA announces that it is time to send your nomination for the Parmigiani Spirit Award to the organisation. This Award is open to current university students worldwide, who study full-time and row regularly for a university rowing club, and who, FISA writes on its web site, ‘has demonstrated the core values of rowing in his/her social, academic and sporting life, and, through these values, also enabled or inspired exceptional success in other people’s lives – for example in education, business, sports or charity’. The winner of the Award will receive a hand-crafted watch by the Swiss watchmaker Parmigiani Fleurier and the rowing club of the winner will be presented with a custom-made new Italian Filippi racing eight. For rowers in some countries (such as the United States where NCAA regulations apply), the awards will be adjusted to conform to national eligibility regulations. Each nomination must be made by two of the nominated rower’s teammates, supported by the rowing club and endorsed by the university. Only one member may be nominated from each club. The winner will be awarded a Parmigiani Tonda 1950 watch. 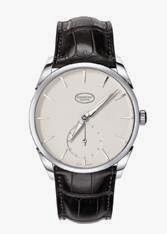 The Tonda 1950 has a white gold case surrounding an elegant white grained dial and a Hermès alligator strap. This model is suitable for both women and men. Nominations will close on 30 June 2014. Last year's winner was James Cook of Great Britain. 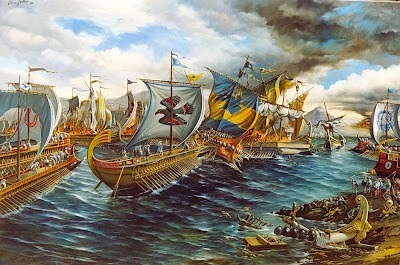 The Battle of Salamis. From News Network Archaeology. 'All right. This is how it was. With British Pathe now available on YouTube, it is easier to find old 'rowing films'. The one above shows a different rowing regatta from 1960 - (the race starts at 1:00 and ends at 2:08), a Maltese Regatta held in the Valletta Grand Habour ~ enjoy! The Class of 2014 being honored for induction into our Rowing Hall of Fame embodies the achievement in performance, dedication, persistence and contribution to rowing necessary to earn this recognition. In 96 appearances over multiple years in Olympic Games and World Championship competition, these men and women have won 71 medals, 64 of them gold, and rowed their way into the grand finals 94% of the time. Hall of Fame induction standards are demanding, each of these honorees has met those standards by “open water”. The individual athletes of the 2014 Class are: Porter Collins, Yasmin “Yaz” Farooq, James Koven, Garrett Miller, Tom Welsh and Michael Wherley. One entire crew and their coach are also being inducted, the 2008 Olympic Champions in the Women’s Eight: Erin Cafaro, Lindsay Shoop, Anna Goodale, Eleanor Logan, Anna Mickelson Cummins, Susan Francia, Caroline Lind, Caryn Davies, Mary Whipple Murray and Coach Tom Terhaar. Also inducted is a Patron, posthumously, John “Jack” Sulger, a legendary oarsman and coach of the New York Athletic Club, whom Jim Dietz spoke so warmly about at the latest Rowing History Forum held in America, in 2012. The National Rowing Hall of Fame Induction Ceremony will be held at The Princeton Marriott at Forrestal, at 100 College Road East, Princeton, NJ 08540, on Saturday, 31 May 2014. Naval Reinforcements from the exhibition at Trinity College, Dublin, created by Cartoon Saloon. Ireland is now in the decade of centenaries, which is a programme of commemorations relating to the significant events in Irish history that took place between 1912 and 1922. Arguably, a more significant commemoration took place last weekend; that of the Battle of Clontarf which took place 1,000 years ago today, on 23 April 1014. 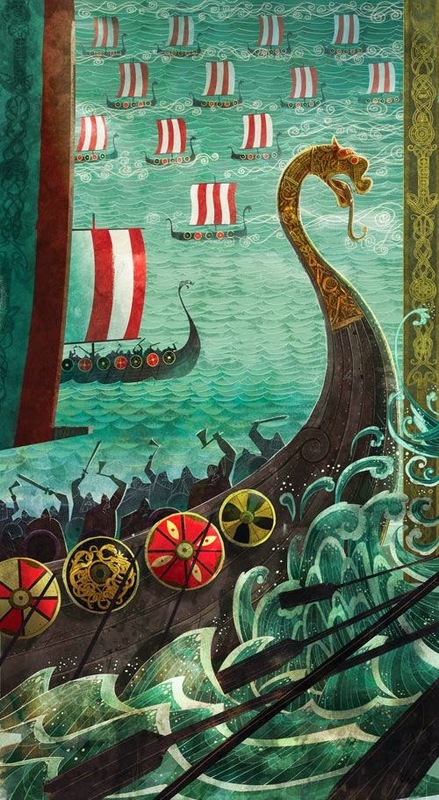 The Battle of Clontarf was a battle between the forces of Brian Boru, High King of Ireland, and an alliance of the forces of Sigtrygg Silkbeard, king of Viking Dublin; Máel Mórda mac Murchada, the king of Leinster; and a Viking contingent led by Sigurd, Earl of Orkney; and Brodir of the Isle of Man. It lasted from sunrise to sunset, and ended in a rout of the Viking and Leinster forces. Over 10,000 people were killed in a single day and after the battle the Vikings of Dublin were reduced to a secondary power. Brian was killed in his tent after the battle. The beauty of having a mission statement that states: This blog covers all aspects of the rich history of rowing, as a sport, culture phenomena, a life style, and a necessary element to keep your wit and stay sane, is that even the faintest link to rowing allows the HTBS elves to indulge themselves. Here’s the rub, Brian Boru may have died 800 years before rowing as we know it began to be documented (Rowing at Westminster from 1813 to 1883) but there is a link that permits your scribe to indulge himself, again! Brian Boru Esqr. proclaim’d the winner of the Boat-race for a Cow. London. Published by Jones & Co. March 30, 1822. Courtesy of the River & Rowing Museum (Thomas E. Weil Collection). Thanks to Thomas E. Weil, this engraving was brought to my attention at the first Rowing History Forum in England, which was held at the River & Rowing Museum in 2007. It appeared in the catalogue accompanying the 2005 exhibition Beauty and the Boats – art & artistry in early British rowing - illustrated from the Thomas E. Weil collection. Tom expressed his desire to learn more about Irish rowing (other than Brian Boru). Personally, I think he learned all he needs to know at Dublin Metropolitan Regatta in 1970, where he raced in the Yale University’s four before sampling Dublin’s finest tipple. 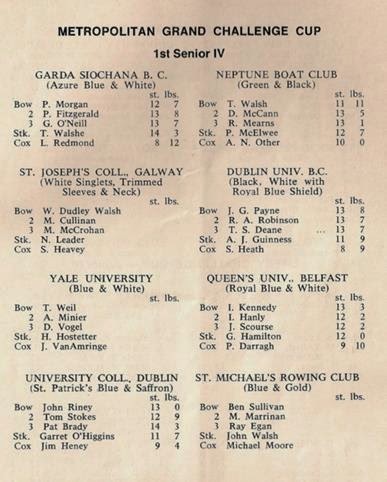 Yale’s lightweights with TEW at bow raced in Ireland in 1970. 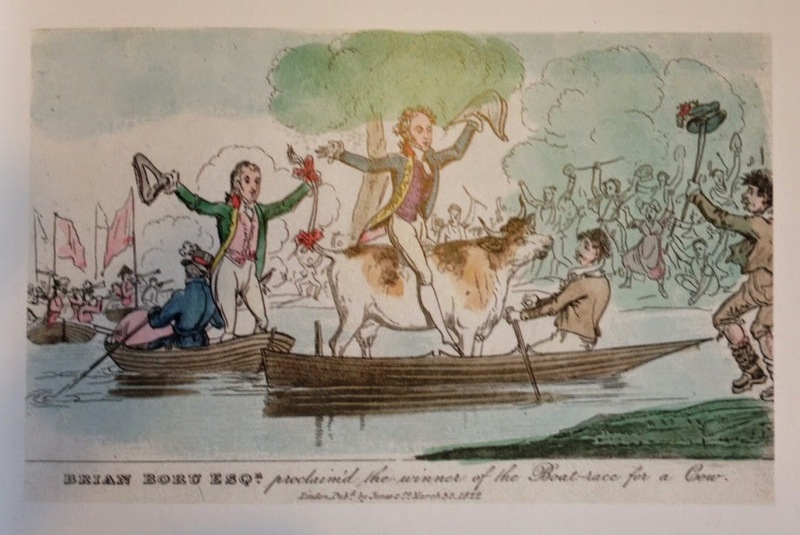 One of a series of caricatures of Mr. Boru (the principal character in Pierce Egan’s ‘The Real Life in Ireland’ (1821), named after that country’s legendary first king), this image lampoons the practice of the time of awarding wherries to the winners of boat races. That wherries were big, heavy, and of little use to anyone but a waterman, may have inspired this satirist to suggest a cow as a prize of comparable bulk and higher utility. 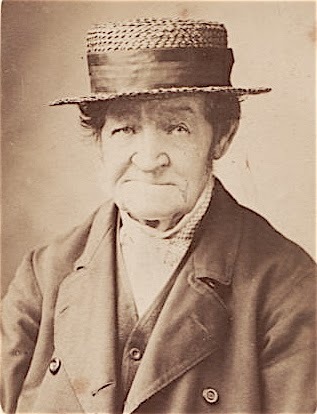 Pierce Egan was born in 1772 in or around London to Irish parents. He established himself as a leading reporter of sporting events (mainly prize-fights and horse-races). He is more famous for his work Real Life in London but surprisingly, it is in his Real Life in Ireland that you will find his ‘rowing’ cartoon. This was republished in 1904 as Real Life in Ireland by a Real Paddy and a download of this version is available to purchase here. 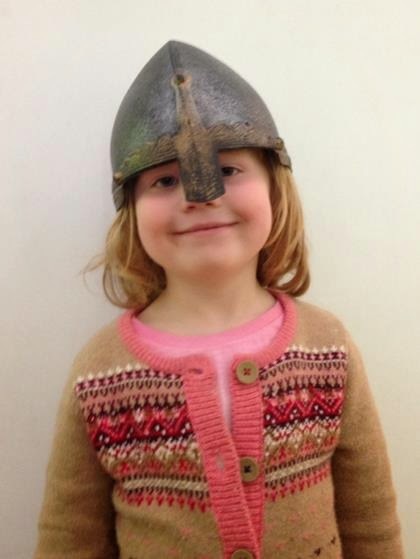 Not a real Viking – No 2 daughter photographed at the RRM last Saturday. As the 23 April 1014 fell on a Good Friday, the bulk of the commemorations and re-enactments took place last Friday with 40,000 people attending the Dublin event. There is a handy interactive map of the battle in The Irish Times article "How the Battle of Clontarf unfolded". Not been able to attend the event in Dublin did not deter us from staging our own re-enactment in the River and Rowing Museum on a family visit to Henley last Saturday. A banner announcing the arrival of the Royal Barge carrying George I (looking very well for a man who has been dead for 287 years). This year marks the 300th anniversary of the establishment of the House of Hanover, the royal dynasty that ruled Britain and Ireland from 1714 to 1901, that is from the accession of George I to the death of Queen Victoria via the reigns of Georges II, III and IV and William IV. To mark the tercentenary, ‘Historic Royal Palaces’, the charity that looks after the Tower of London, the Banqueting House, Hampton Court Palace, Kensington Palace and Kew Palace, is organising a ‘Glorious Georges Season’. The Season consists of a series of events with the life of George I marked at Hampton Court, the life of George II at Kensington Palace and the life of George III at Kew Palace. Hampton Court was originally built for Henry VIII in 1514 and is sited on the Thames, 20 km from central London. Over the Easter holiday weekend, I was there to see ‘George I’ arrive in the Queen’s Row Barge, Gloriana, the magnificent vessel that HTBS has written about many times before. Gloriana arrives at Hampton Court. ‘King George’ and his courtiers disembark. George I (1660 - 1727) was a most unlikely British King. In 1714, at the age of 54, he had never been to Britain and ruled the lands belonging to the Hanover dynasty in Lower Saxony, now part of modern Germany. However, on the death of the British Queen Anne, George inherited her throne as he was her closest living Protestant relative. Although over fifty Roman Catholics had a closer blood relationship to Anne, the 1701 Act of Settlement prohibited Catholics from becoming Kings or Queens of Britain and Ireland. .....he ascended a precarious throne, and either by political wisdom and guile, or through accident and indifference, he left it secure in the hands of the Hanoverians and of Parliament. Gloriana was not the only thing on the water at Hampton Court. These boats were from the nearby Kingston RC. Molesey BC is nearer to the Palace but its boats tend to stay upriver of this point on the other side of Molesey Lock. The skiff is probably from Dittons Skiff and Punting Club based a little way downriver. As an aside, most people tend to think of the Royal Family as the epitome of Britishness or Englishness. However, from 1714 to 1901, they were Hanoverians from the House of Brunswick and Lüneburg and, through Queen Victoria’s husband, were members of the House of Saxe-Coburg and Gotha, a branch of the House of Wettin, from 1901 to 1917. In the First World War the obvious German ancestry was a bit embarrassing and the totally made up name of ‘Windsor’ was adopted. On hearing this, it is alleged that the German Emperor said that he would like to see the Shakespeare play, ‘The Merry Wives of Saxe-Coburg-Gotha’. In more recent times, Queen Elizabeth’s husband, Prince Philip, is popularly supposed to be Greek/Danish, but he is a member of the House of Schleswig-Holstein-Sonderburg-Glücksburg. When the then Lady Diana Spencer married Queen Elizabeth’s son, Prince Charles, it was noted that she was far more British or English than he was. It could be argued that the Royals are as British as lederhosen made from bratwurst. George distrusted the conservative Tory Party and so the liberal Whig Party prospered under his rule and also for many years after. As a staunch Whig, Doggett was passionately devoted to the Hanoverians and laid down that the race was to be held each ‘1st day of August forever’ to commemorate the accession of George I on 1st August 1714, and had the 'running' White Horse, the symbol of the House of Hanover, embossed on the silver badge. Three hundred years later, the ‘Doggett’s Coat and Badge’ continues to be raced and the White Horse still adorns ‘The Badge’. The 1982 Doggett’s winner, Gary Anness, at the 2013 Coat and Badge Race, showing the silver badge with the White Horse of Hanover commemorating the ‘happy accession’ of George I.
Malcolm Knight, the Events Manager for Gloriana, has more space than the average coxswain, but still uses a ‘cox box’ to give instructions to the eighteen rowers. As there is also a steersman in the stern, it could be said that there are two coxes on board – a rower’s nightmare. From the collection of Thomas E. Weil. Physicists will argue that two people cannot be in the same place at the same time, but a marvelous piece of rowing memorabilia may provide an exception to the rule. 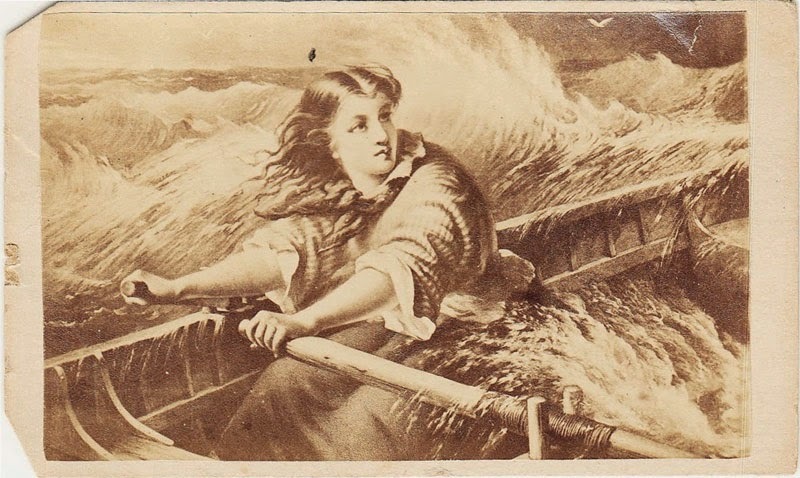 A small commercial albumen photograph, possibly published about 1870, and mounted on a piece of card (commonly called a carte de visite, or cdv), shows a picture of a young lady with wind-tossed hair sitting alone at the oars in a boat in heavy seas (see image above). While neither the photograph nor the side of the card to which it is affixed bear any identifying labels, the reverse of the card does. At the extreme opposite edges of that back side are printed two names: “Grace Darling” and “Ida Lewis” (see image below). While physics insists that the lady in the boat cannot be both, our intriguing cdv suggests otherwise. Whazzup? Darling and Lewis were two popular heroic female figures of the nineteenth century. Each was a lighthouse keeper’s daughter who rescued shipwrecked unfortunates. There most similarities end, but that was all our anonymous cdv publisher needed to try to make one equal to two. 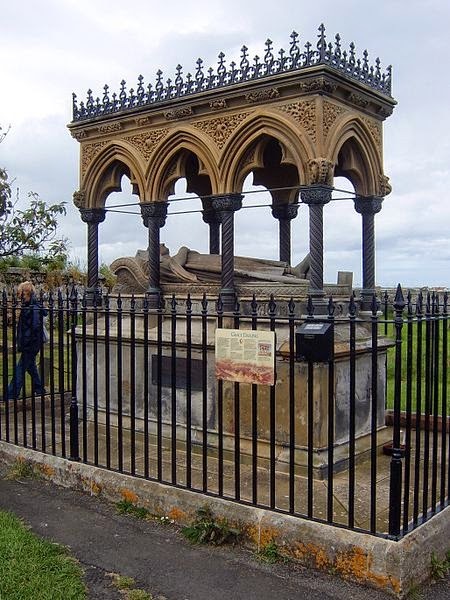 While Grace Darling (1815-1842) appears to have been more widely lionized, her fame arose from just one incident. Spotting the wreck of the steamship Forfarshire on a nearby island, on the morning of September 7, 1838, Darling, then 22, and her father rowed their 21-foot, 4-man Northumberland coble from the Longstone Lighthouse on the Farne Islands a mile out to the site in seas that were too heavy for the local lifeboat to brave. Upon reaching the remains of the vessel, Darling manned the oars while her father assisted four men and a woman into the boat, and her father and three of the men then rowed the coble back to the lighthouse. Four years later, without additional heroics, Grace was dead of tuberculosis. The Grace Darling Monument, Bamburgh. Photo: Wikipedia. Darling’s story fired England’s imagination, and produced articles, sheet music, books, poems, prints, paintings, memorabilia, a lifeboat named after her, a large monument in the cemetery in which she was buried and a recent musical. 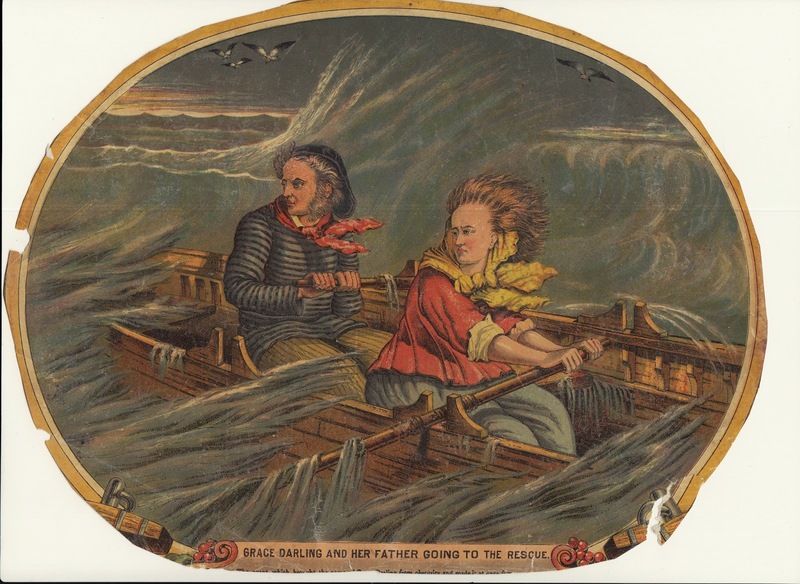 One of the first books, Grace Darling, or the Maid of the Isles, published the year following the rescue, praised “the girl with windswept hair”, which became a mainstay of the legend and most subsequent images. William Wordsworth celebrated her in his eponymous 1843 poem. Her fame has endured, generating several books in the 175 years since her feat, and a museum in the town of Bamburgh, which is dedicated to her memory as well as the story of local coastal life. The improbably named Idawalley Zorada Lewis’s story presents a very different picture, as it were. Her exploits covered a lifetime. Lewis (1842-1911) was a young girl at Lime Rock Light in Newport, Rhode Island, when her father fell ill, leaving her mother and her to run the station until 1879, when her mother also fell ill. Lewis carried on all on her own. Over the years after her first rescue (1858), she saved between 18 and 36 people (many of whom found trouble while pleasure boating on Newport Bay), in most cases by rowing alone to the boat and pulling the victims from the water. Lewis’s recognition came mostly from newspapers and from lifesaving institutions, which gave her medals and pensions. While she did not inspire as many literary efforts as Grace Darling, Lime Rock was re-named Ida Lewis Rock in her honor, and the Coast Guard named a class of buoy-tenders after her. Interestingly, the same image shown on top is included as a picture of Ida Lewis in the Wikipedia article on her. Ida Lewis with the tool of her trade. Photo from the online magazine Ocean Happening. So what can we conclude about this cdv? We know nothing of the publisher, or the place or year of publication, but it is obvious that the publisher wished to take advantage of both of the Grace Darling and Ida Lewis markets if possible. 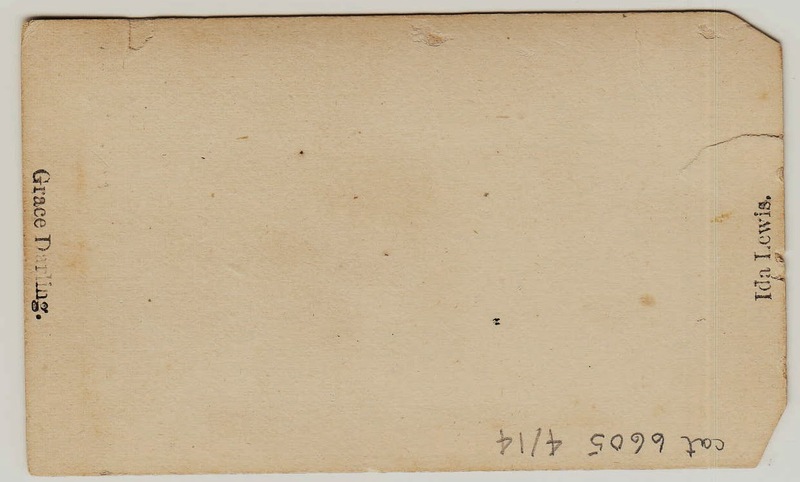 The smaller photo was placed on the mounting card such that, depending on how close one trimmed the mount to the image, one could cut away either printed name on the reverse (or both) without damaging the photo, and market the cdv to suit the remaining “title”. And the fidelity of the image? To begin with, it is an illustration (whether a drawing, watercolor or painting is not clear, but it is not a woodcut as described on Wikipedia), so it is a product of imagination. Darling rowed out with her father, so any depiction of her alone in the boat in the open seas is pure fiction. On the other hand, between the age of the person shown and the state of the waves, the image seems unlikely to represent Lewis. 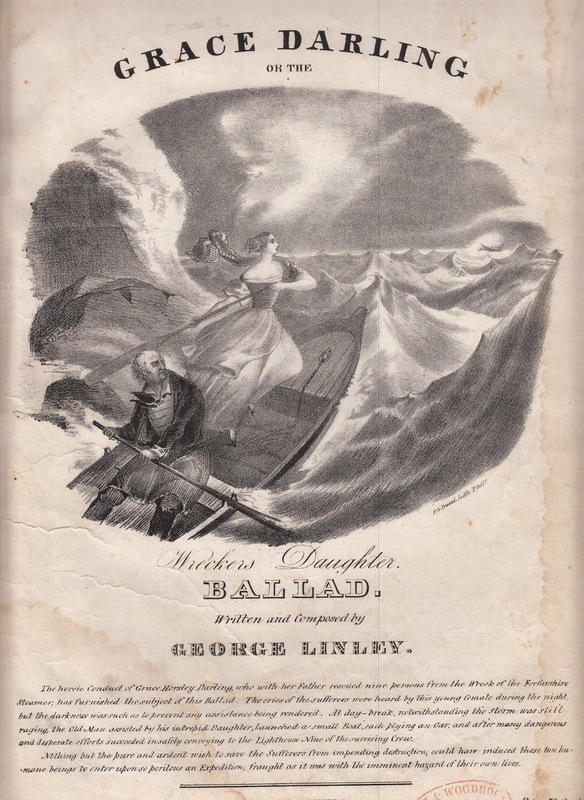 I would posit that this was originally a fanciful (and inaccurate) glorification of Grace Darling, “the girl with windswept hair”, which was then appropriated to serve as a souvenir of Ida Lewis … or, as this publisher shows, either or both women. The truth was beside the point, because the legend was the point. 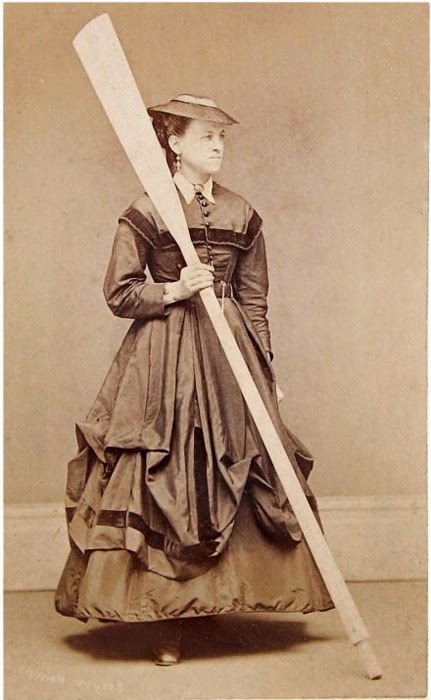 That the stories of Darling and Lewis were publicized at the time as extraordinary performances by singularly unusual women rather than to suggest that these feats might demonstrate the capability of women to not just survive, but excel at, strenuous physical activity at the oars, is, in a way, rather sad. In addition to demonstrating their bravery, had these women been recognized a century and a half ago as showing that, contrary to popular belief, women might be strong enough to engage in competitive rowing, our sport and its history would have been much the better for it. HAPPY EASTER ~ HAPPY SPRING! HTBS wishes all its readers a Happy Easter, or, if it doesn't apply, a Happy Spring! For him, life was design. at large as he went. design of the universe. He rowed for this. In a press release FISA has announced the short list for the 2014 Thomas Keller Medal. The finalists are: Iztok Cop, Caroline and Georgina Evers-Swindell, Drew Ginn and Katherine Grainger. Slovenian sporting legend, Iztok Cop had a career that spanned more than two decades and included six Olympic Games. Cop’s success began as a junior when he rowed for Yugoslavia. Cop medalled as a 19-year-old at the World Rowing Championships. A year later Cop became the first Olympic medallist for the newly-independent Slovenia in the men’s pair. At the next Olympics, in 1996, Cop raced the men’s single sculls finishing fourth. He then teamed up with Luka Spik and together they became Olympic Champions in the men’s double sculls at the Sydney 2000 Olympics. This partnership continued through the next three Olympic Games with Cop adding silver and bronze to his Olympic collection. Cop has been described as the glue amongst his fellow athletes from around the world and also as a great role model for young Slovenian rowers. The identical twins, Caroline and Georgina retired in 2008 as two-time Olympic Champions after 15 years in the sport. At Beijing they successfully defended their title in the women’s double sculls in the closest finish of the Olympic regatta. This was the first time in the history of Olympic rowing that the women’s double sculls title had been successfully defended. Their success began in 2002 with a World Champion title and, as the Evers-Swindell’s success continued to grow, they inspired a generation of New Zealand high school girls to take up rowing. They added two more World Champion titles along the way making them the dominant force in the women’s double. The twins’ impact on sport in New Zealand was recognised when they were awarded the Athlete of the Decade in 2010 at New Zealand’s sports awards. Ginn shot to fame as part of Australia’s celebrated Oarsome Foursome when they won gold at the 1996 Atlanta Olympics. Following this Ginn went on to help Australia win medals in the eight, coxed four and pair. At the 1999 World Rowing Championships Ginn, along with partner James Tomkins, became World Champions in the pair setting themselves up as favourites for the 2000 Olympics. A back injury forced Ginn out of the boat and out of rowing at the eleventh hour. But Ginn’s tenacity and perseverance saw him back on form two years later and in 2003 he was again a World Champion. Ginn followed this up with Olympic gold in Athens. After a post-Olympic break, Ginn returned with new partner, Duncan Free, and together they won the 2006 and 2007 World Rowing Championships. Leading up to the 2008 Olympic Games Ginn again suffered back problems. That didn’t stop him and he won another Olympic Champion title. A back operation and a break followed the Beijing Olympics with Ginn declaring he would make a comeback in the men’s four. The four took on the mighty British four to finish with silver at the London Olympic Games. Ginn is well-known for his willingness to share his rowing ‘secrets’ as well as his outstanding rowing technique. 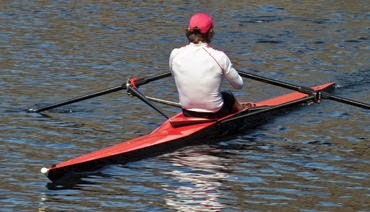 Ginn is regularly used as an example of the ‘right way to row’. The recent success of women’s rowing in Great Britain goes hand-in-hand with Katherine Grainger – the nation’s most successful female rower of all time. Grainger came into the sport as a university student and it was not long before success came her way. In 1997 she was part of the first British women’s eight to win a World Championship medal. Moving into the women’s quadruple sculls Grainger’s crew picked up silver at the Sydney 2000 Olympic Games. Thus began a string of Olympic silvers that served as motivation for Grainger to pursue the elusive Olympic gold. In Athens the silver was in the women’s pair, followed by silver in the quad at the Beijing Olympics. Grainger’s determination paid off, and at the 2012 London Olympic Games, Grainger struck gold in the women’s double sculls (with Anna Watkins). This gold came on the back of an unbroken winning streak that began in 2010. Through her rowing career Grainger has demonstrated her ability to swap successfully between different disciplines, including stints in the single, with a World Championship medal in this discipline. 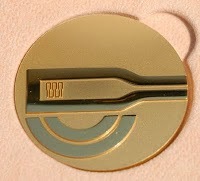 The winner of the Thomas Keller Medal will be announced in early July and will receive an 18-carat gold medal. This year’s medal will be presented at the 2014 World Rowing Cup III in Lucerne, Switzerland in July. It will be bestowed by Dominik Keller, the son of FISA’s former president Thomas Keller. The Thomas Keller Medal is the most prestigious award in rowing and is in recognition of an exceptional international rowing career, the ‘type’ of career, technical mastery of the sport, sportsmanship and the ‘legendary’ aspect of the athlete. A full list of former winners can be found here. 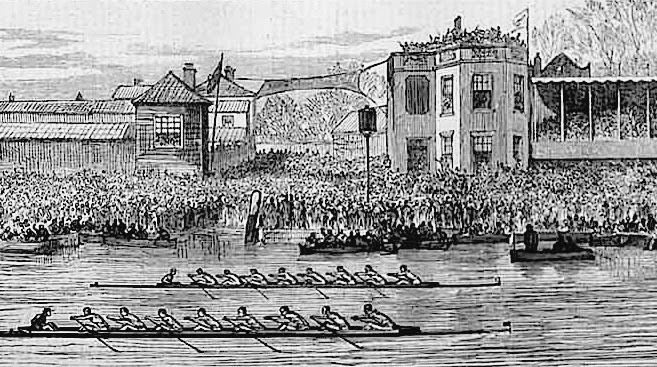 An artist’s view of the finish of the 1877 Oxford - Cambridge Boat Race. Those of us who grandly award ourselves the title of ‘historian’ like to think that we are in constant pursuit of ‘the truth’ as if were some piece of buried treasure waiting to be dug up. Unfortunately, this is rarely the case. Perhaps the best known idea on the unreliability of ‘historical truth’ is that ‘history is written by the victors’. In a similar vein, Sir Winston Churchill held that ‘history will be kind to me – for I intend to write it’. Historical truth changes over time as, at best, it can only reflect the present or the dominant consensus. However, while truth may be difficult to establish, lies are (arguably) slightly easier to expose. I have spent the last few months working on a rebuttal of a very big and very entrenched lie in rowing history, that concerning the 1877 ‘Dead Heat’ Oxford - Cambridge Boat Race. Instead of producing a written piece, my intention was to make a video documentary for the internet. This I have done and the result may be viewed below. As I was nearing the end of the video production, I was very flattered to be asked to write a piece on the 1877 Race for the Official Boat Race Programme, the text of which is also below. I was restricted to a short piece of 700 words and I wrote it for a more general audience than HTBS readers, but I hope that it serves as an introduction to the 30-minute film. 1877: Oxford Won, Cambridge Too. Tim Koch of the rowing history blog, ‘Hear The Boat Sing’, argues that the popular view of the ‘dead heat’ race of 1877 is a continuing injustice to the finish judge, Honest John Phelps. In 2003, a thrilling Boat Race resulted in a win for Oxford by just one foot. During the post-race television analysis it was confidently stated that this was the closest of all the 149 races as the ‘dead heat’ of 1877 was, in reality, a six-foot victory for the Dark Blues. The viewing millions were told that this 126 year old travesty occurred because ‘the finish judge had been in the pub’. That apparently inebriated official was a waterman, ‘Honest’ John Phelps, a descendant of whom is this year's Race Umpire, Richard Phelps. * Through the years, many other seemingly reliable sources have repeated and embellished different versions of this tale, usually adding that John was ‘asleep under a bush’ at the finish, only awakening to drunkenly slur ‘Dead heat…’ while adding under his breath, ‘…to Oxford by six feet’. Tellingly, different sources have Phelps giving almost any distance between four feet and ten yards. ‘Honest John’ became a music hall joke (‘Oxford won, Cambridge too!’) and ‘1877’ cast a long shadow over a proud Putney family that had served rowing well for generations. The tragedy is that the popular stories concerning John’s conduct were simply not true and, in the words of the Boat Race Official Centenary History, ‘....no good grounds have been shown for doubting the rightness of John Phelps’s decision’. Maurice Phelps, the family historian, adds that ‘...the (dead heat) decision was not only brave but almost stoic’. An unflattering studio portrait of Honest John Phelps. None of the lurid tales about Phelps seem to appear in contemporary accounts, they ‘emerge’ at some later point. According to rowing historian Chris Dodd, it was only after the Blues had returned to Oxford, that they and the town ‘.... daily became more imbued with the idea that (they) had won’. While no one suggests that there was a formal conspiracy, the idea that a working class professional could not be relied upon came at a very convenient time for those who were busy formalising rules to make amateur rowing the sole preserve of gentlemen and to rid it of ‘mechanics, artisans and labourers’. Some sections of the press had made fools of themselves by prematurely declaring that Oxford had won. Reporters were not on the finish line but on a steamer behind the crews, an impossible position from which to judge a close race. Perhaps to save face, they produced stories that proved that they were not wrong, it was the finish judge that was incompetent or drunk or blind or not at his post. An ordinary working man had little chance to refute these accusations. Investigation into John’s character shows that he was not a stereotypical coarse and roguish waterman and that the epithet ‘Honest’ was not an ironic one. According to Maurice Phelps, even in old age his articulate and physically fit ancestor ‘had a sound reputation in Thames rowing circles’. Further, he ‘collected works of art, commented on social conditions and ...... condemned animal cruelty’. Moreover, he did not smoke and drank only beer – but never at 8.50 in the morning, the time that the race finished! Amazingly, finish posts were not thought of as necessary because, in the 33 races that had taken place since 1829, the closest verdict had been half a length. Phelps later told the umpire that the boats were essentially level with each one going slightly ahead – or falling slightly back – depending on their place in the stroke cycle. Without exactly aligned markers, it could not be judged whose boat surged ahead at the critical second to win. Thus, ‘a dead heat’ was the only legitimate verdict that could have been given. Phelps did not take the easy and popular option of declaring for Oxford, the favourites, and for this he paid a high price. While it is more amusing to tell the ‘drunk under a bush’ story than to tell the truth, after 137 years it is time that Honest John Phelps received due recognition for his fair and courageous verdict. *An update was made in this article on 18 April 2014 to reflect Comments No. 1 and No. 3 ~ GRB, ed. 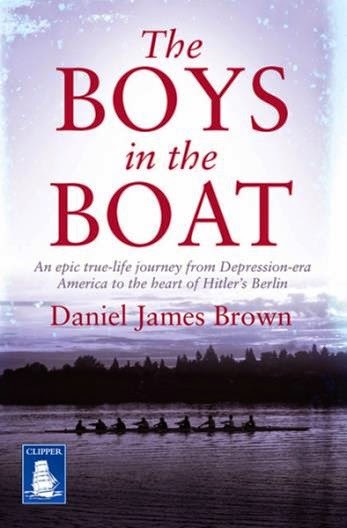 Regular readers of HTBS will know that Daniel James Brown’s The Boys in the Boat is held in high esteem in both the USA and in Britain. This month (April 2014) sees the release of the latest edition of the book – in French. The cover is similar to that of the UK hardcover (published by Macmillan, 6 June 2012). I like the colour of this new edition, the picture is clearer and the gathering clouds behind the crew hint at the menace of the war – the gathering storm – that was only three years away. The French title Ils Etaient un Seul Homme translates word-for-word as They were One Man. Admittedly, it loses something in translation, but rowing people will certainly know what the publisher is saying. 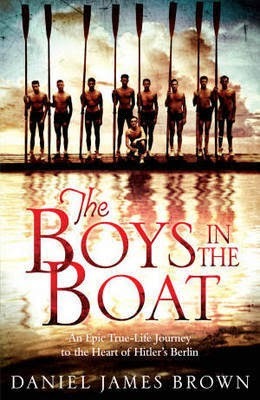 When Brown was interviewing Joe Rantz about his experiences at the Berlin Olympics and seeking his consent to tell his story, Rantz insisted that the book should be about ‘the boys in the boat’. For sure he was no ordinary Joe. 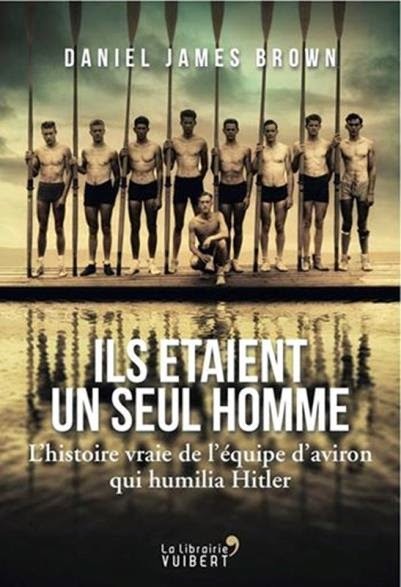 The sub-title L'historie vraie de l'equipe d'aviron qui humilia Hitler translates as The True Story of the Rowing Crew that Humiliated Hitler. Of course, this is an attempt to convey the sentiment of the English sub-title, An Epic Journey to the Heart of Hitler’s Berlin, which is a little more subtle. Published in paperback on 5 April by La Librairie Vouibert, you can buy a copy here. This is not the first foreign language edition of Brown’s book. Last year (25 July 2013), a Dutch edition was published in paperback. 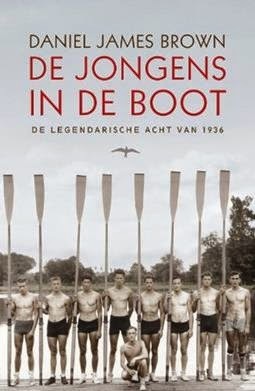 Translated by Joost Mulder, it is called De Jungens in de Boot – De Legendarische Acht Van 1936. Typically Dutch, it is understated and straight to the point, The Boys/Guys in the Boat – The Legendary Eight 1936. 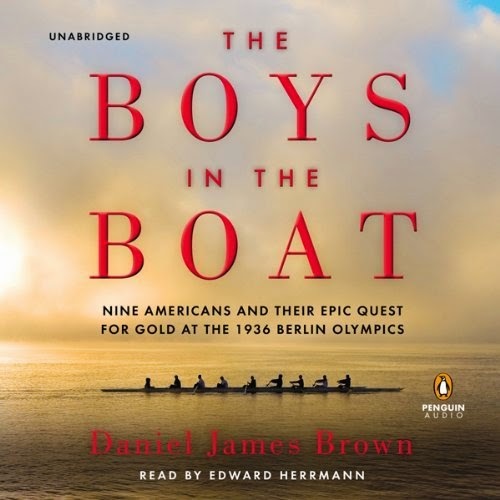 The cover is very simple in design; the photograph of the crew on the dock is timeless and the addition of the eagle flying overhead is the only hint of Nazism on display. If a new rowing book in Dutch is your ‘kopje thee’, you can buy a copy here. A British paperback edition of the book was published by Pan on 2 January 2014. This is a slightly revised to include a few corrections as suggested by the HTBS team. 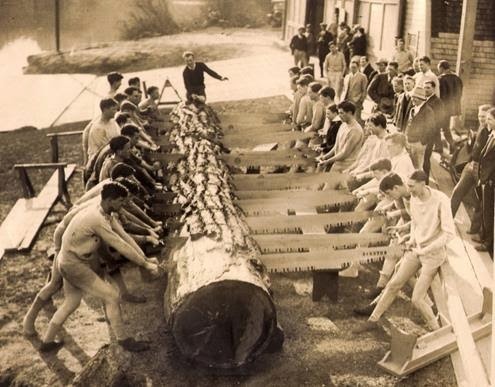 It also includes an additional photo of the Huskies in 1929 sawing a giant log as part of their training. This was spotted by Brown when he read last August’s book review by HTBS editor Göran Buckhorn. The first thing you notice with this edition is the wonderful velvety feel of the cover. 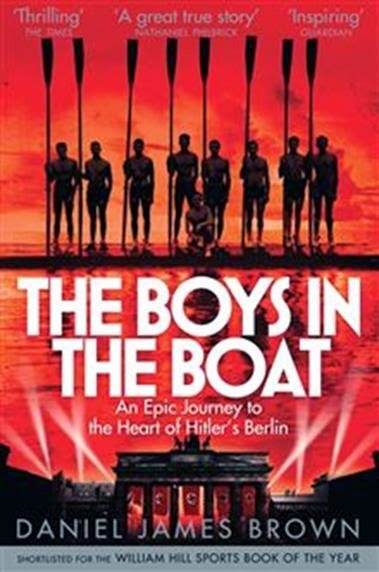 The picture of the boys on the dock has been darkened; the blood red sky and the inclusion of the Brandenburg Gate draped in Nazi flags should broaden the appeal of the book to those with a general interest in the Second World War. Photograph courtesy of Thomas E. Weil. The American paperback is due to be published on 27 May by Penguin Books. At this stage it looks like it will have the same cover as the American hardcover published by Viking (4 June 2013). The photograph used on these editions is in stark contrast to the European ones. The crew is rowing, in warm-up routine, but there is no connection with Berlin or the Olympics. UK Hardcover - Macmillan (6 June 2013). UK Large print - W. F. Howes Ltd (1 July 2013). Audiobook - Penguin (4 June 2013). and touch the substance of it. Tim Koch writes: On the return launch trip from the Boat Race finish at Mortlake to the start at Putney, I saw this banner hung from a riverside building, just below Chiswick Eyot. Assuming that it was attempting to make a serious statement, several points arise. Sadly, I suppose we should be grateful that someone who uses the Boat Race to make some political or philosophical point does so in a way that does not actually interfere with the race or which risks having their head removed from their neck. One definition of ‘privilege’ is ‘an opportunity to do something regarded as a special honour’. An example of this would to be accepted as a student by Oxford or Cambridge Universities. I understand this is based on merit and examinations. Another example would be to get a place in a Blue Boat. I believe this is done by open competition – apparently quite fierce. It is true that the boats do contain a disproportionate number of people with a private education but, if this is a bad thing, it is symptom, not a cause. Also, it is reflection of the fact that, for purely practical reasons, access to rowing in state schools (U.S.: public schools) is limited. Assuming that the banner was displayed either by, or with the permission of, the owner of the property, the said person clearly lacks a sense of irony. He or she owns a building worth in excess of a million pounds. It may look a little ramshackle but it is an artist’s studio/residence with substantial provenance in a desirable and sought after riverside location. Neighbouring (though admittedly more substantial) properties have sold for four million pounds. Perhaps it could be argued that the protester was a ‘privileged person’? Returning to more traditional HTBS ground, the building in question actually has a significance to rowing. The building on Durham Wharf, Chiswick Mall (minus the banner) showing the ‘blue window’. In 1938, the studio was the venue for a famous ‘send off’ party for novelist Christopher Isherwood and poet W. H. Auden before their unlikely trip to China to observe the Sino-Japanese War. Evening dress was ‘optional’ and Benjamin Britten performed some of his and Auden’s cabaret songs. Attendees included many ‘Bright Young Things’, E. M. Forster and, according The Sunday Times, ‘some of the ghosts of old Bloomsbury’. Trevelyan recalled that it ended in ‘a bit of a rough house’ when poet Brian Howard and ‘bohemian socialite’, The Honourable Eddie Gathorne-Hardy started a brawl. Luckily, no one had to be at work the next day. It seems that in the past, the studio saw ‘privileged people’ on both sides of the blue window. 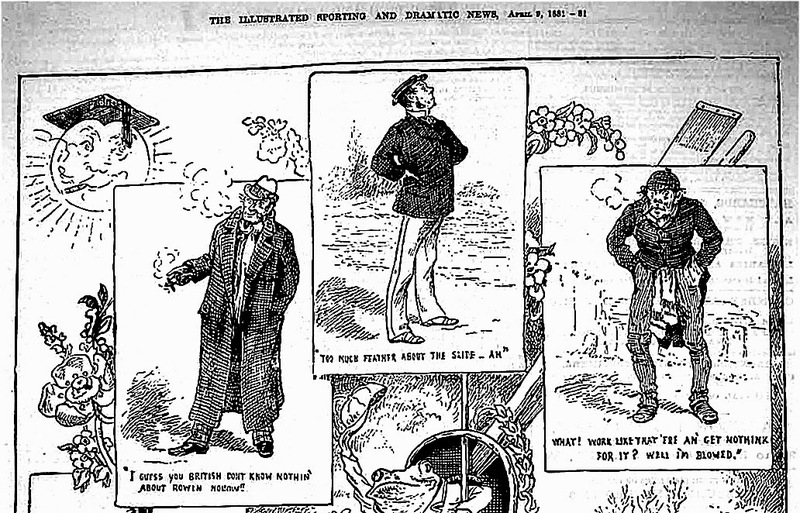 The cartoon of 1881 that prefaced my piece on the University Boat Race yesterday (‘Different Views of the Event’) did not reproduce very well. Here it is again, with the captions reproduced and the picture in two parts to make it clearer. The American: ‘I guess you British know nothin’ about rowing nohow’. 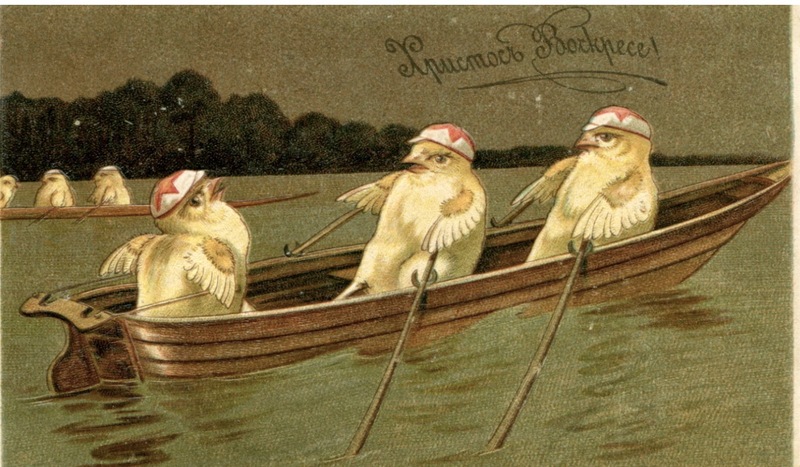 The Rowing Man: ‘Too much feather about the slide – Ah’. The Idle Fellow: ‘What! Work like that ‘ere an’ get nothink for it? Well I'm blowed’. The Frenchman: ‘Mon Dieu! They shall all catch their death of colds’. The Little Man: ‘Glorious sport - just the thing I should enjoy myself’. The Schoolboys: ‘Are you for Cambridge? Yes I am. Why’are yer? How should I know stupid’. The Angry Man: ‘Glorious sport? Indeed – glorious tomfoolery I call it’. 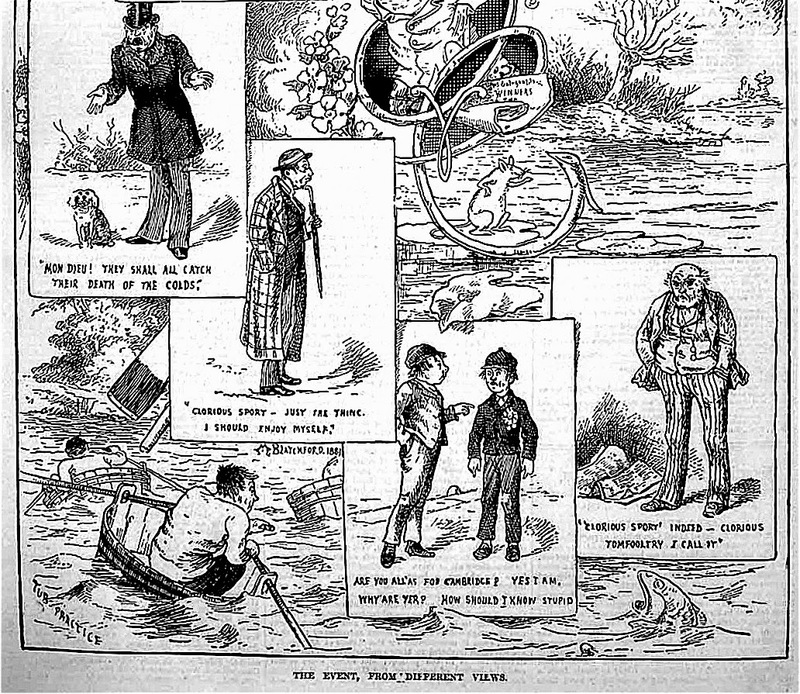 Allowing for period humour, out of date stereotypes and possibly mild racism, these views of the race probably still exist in some form today. It is an event on which everyone seems to have an opinion. 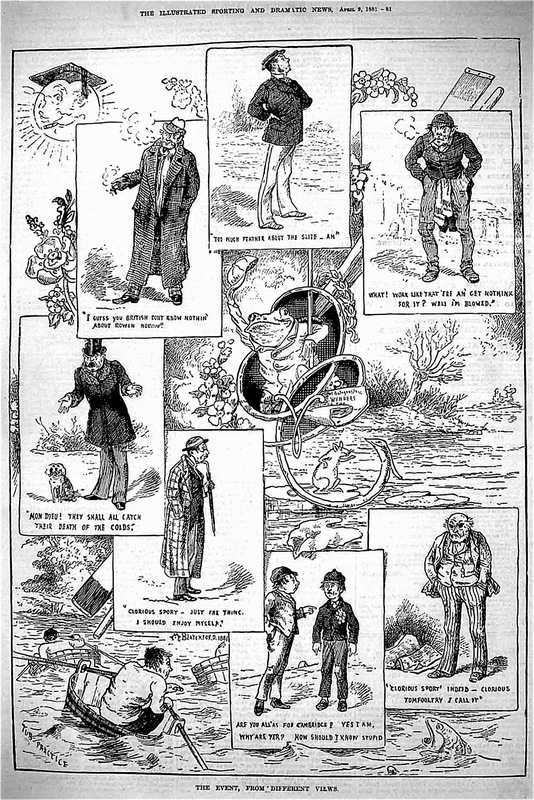 ‘The Event From Different Views’, The Illustrated Sporting and Dramatic News, 9 April 1881. I discovered long ago that, when following a rowing race in a launch, you can either take notes and produce a written report or you can take photographs, but not both. I took the photo option and have used the results to illustrate selections from Peter McConnell’s excellent Official Race Report (here in italics) published on the Boat Race website. On an overcast day prone to squalls and with a strong south west wind blowing this was always going to be a test of technique as well as stamina. On the start, the coxs’ hands raised to show that they are not ready. This picture shows the problem of parallax in photographing a side-by-side race – be assured that the boats were started level! Oxford won the toss and chose the Surrey station which would give them the advantage of the big Surrey bend a third of the way into the Race. Therefore it was Cambridge who would have the early advantage around the Middlesex bend after the end of the Fulham Wall. Off the start both crews sprinted off in the mid 40’s, Oxford taking an early lead. Seventy five seconds into the race, Oxford lead. The long lens probably exaggerates the closeness of the Oxford ‘7’ blade and that of the Cambridge ‘2’, but the illusion turned real just under four minutes later. As expected the crews were very close to each other with Cambridge warned by first time Boat Race Umpire Richard Phelps. The Light Blues used the bend to their advantage reeling in Oxford’s lead, hence as they passed the Town Buoy the crews were level. At Craven Cottage (aka Fulham Football ground) just before Cambridge’s bend advantage ran out. With both crews at 35 Oxford began to exert their power, pulling out to a 1/3 length lead along the Crabtree Reach. The crews pictured seconds before ‘the race decider’. ... shortly after the Mile Post, 5 minutes in to the Race, came the moment that effectively settled the result. Phelps had warned Oxford who now had a 3/4 length lead, they responded but Cambridge moved with them and as the Umpire issued a warning to Cambridge the blades of Light Blue 2 man Luke Juckett came into contact with that of Sam O’Connor the Kiwi in the Oxford 7 seat. Juckett was knocked out of his stride, crabbed and was nearly thrown from the boat. Oxford seizing the moment powered away as Cambridge floundered, missing five effective strokes. Worse, Juckett’s rigger was bent meaning his pitch was completely wrong so he could only make a negligible contribution to the speed of his crew. Juckett emerges from the deep. Juckett recovers his seat. Bowman Thorpe recovers Juckett’s blade. Juckett resumes rowing with a gate off pitch and no backstay. There is ‘only’ fourteen seconds between this picture and the first of this group but this was more than enough time to decide that the race was effectively over. At Hammersmith Bridge Oxford had an 8 second lead meaning they could choose their own water. They continued to pile on the pressure at a steady 33 strokes a minute and continued to move away from a demoralised Light Blue crew. Even with a strong headwind and rough conditions after Chiswick Eyot, Oxford’s progress was relentless. At Chiswick Eyot, approaching Chiswick Steps. At Chiswick Steps the Oxford lead was 16 seconds over 5 lengths, at Barnes Bridge 28 seconds and at the finish a massive 32 seconds. Going through Barnes Railway Bridge. The finish at Chiswick Bridge. Cox Middleton appeals to Umpire Phelps at the finish. The luckless Juckett. His broken backstay is clearly evident. The damage in close up. The pin appears to be upright but it is impossible to tell how much the pitch was out, especially when pressure was applied. Oxford ‘3’ man, Karl Hudspith (right) commiserates with Cambridge bowman, Michael Thorpe (left). A jubilant Hudspith lifts the Boat Race Trophy. The score now stands at Oxford 78, Cambridge 81 with one dead heat. On the way back to Putney, a reminder adorning Tideway Scullers’ Boathouse that next year change will come to the 161st Boat Race. In my opinion, this radical move should go further as proper equality will only occur when the men’s reserve race (Isis - Goldie) is moved from the Tideway to the Oxford - Cambridge Henley Boat Races (where the lightweights and remaining women compete) leaving Boat Race Day to the fastest men and the fastest women, full stop. Should anyone complain about ‘a break with tradition’ I would suggest that they fail to understand the paradox that ‘tradition’ can only survive by evolving, not by standing still. The race is now on YouTube as is the last Women’s Boat Race to be held at Henley. See also "Images of the 160th Boat Race Part 1: The Prelude". 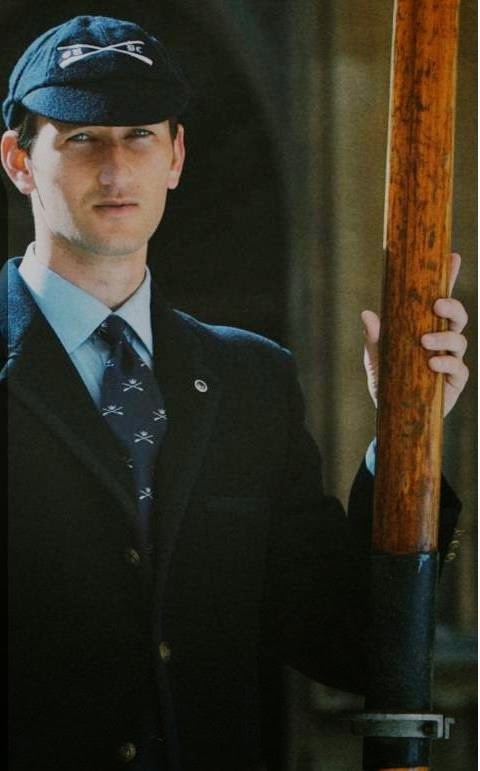 The 2014 Oxford - Cambridge Boat Race: 'Oo Won?